Choosing a distribution is like choosing a pair of shoes. There are hundreds on the market, some look exactly alike, others resemble so much you won’t be able to tell the difference, and often you’ll find ones that are destined for a single purpose. Getting the right one for you can make all the difference in the world. A good distribution can make you feel right at home (and like all good shoes, you won’t even notice it is there), but pick the wrong one for you and it will be like walking on nails. Don’t be scared, this guide is here to help you pick the right one, and perhaps experiment a little if you’re the adventurous type. Whether you are new to the GNU/Linux world and looking for the right easy distribution to start with, or you’ve grown out of your old distro; choosing the right distribution can be a tricky task, especially with ever-increasing number of flavors. First of all, identify your needs. A distribution for a laptop/desktop is usually very different from a distribution destined for single board computers like the Raspberry Pi. Also it would depend on what you intend to do with your operating system; the needs of a casual user, like web browsing, file editing, watching movies and listening to music, are very different from the needs of someone perhaps looking into learning about pentesting. Are you looking for a Live Distro? – A live distro (Live CD) is an OS that can be booted from a CD/DVD or a Flash Drive. This is usually useful when you need to perform some tasks with minimal persistence, or perhaps to fast fetch some files from a non-booting computer. These distros often come in smaller sizes at the expense of the graphical experience. Knoppix and Puppy Linux are perhaps the way to go if you need a general usage, small, fast and reliable live distro. Some of the popular distros like Ubuntu, Linux Mint, Fedora are also offering the live option. Most new users don’t make the distinction between a distribution and a desktop environment. A desktop environment is simply the graphical interface showing you the menus, windows and the visual effects in your system. Most distribution come with a main DE as their default download option, but most offer more than one download option. Desktop environment are an essential part of the experience and choosing one that suits your style can make all the difference. Luckily if you don’t like your current desktop environment you can easily change it and test a new one without having to reinstall your entire system. A very simple minimalist look and kind on your hardware, MATE is the kind of DE that doesn’t get in your way. You can find MATE by default with Linux Mint – Mate, and you can get it for almost every other distro as well. Mate younger brother, very customisable and very clean. If you’re coming from Windows you should feel right at home. 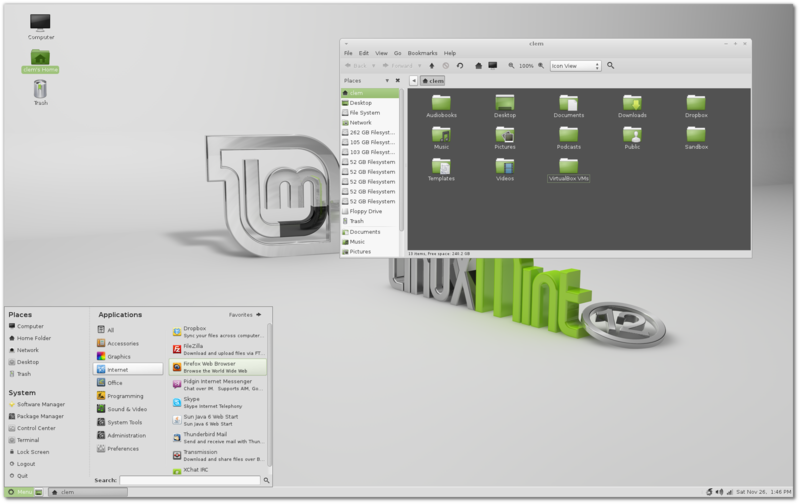 Cinnamon also comes with Linux Mint, but you can find it also with Ubuntu, Manjro and almost every other distro. When you need things done, openbox is a tiny DE with a big heart. This DE is ideal if you need a distraction free environment or when you’re working on older/smaller computers. You will hear GNU/Linux bearded experts fighting tooth and nail to defend their favorite package manager and arguing that all the others are inferior and not worthy. Honestly all package managers for the most popular distros will work perfectly for you in 99.99% of the cases. 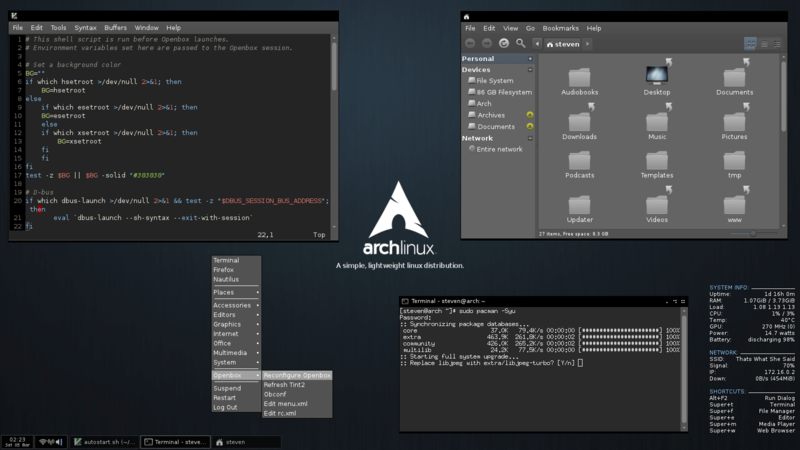 Pacman for ArchLinux and its variants. If you’re a regular user, a 10 minutes Google search will give you all the training you need to operate any of these to install, update and remove software on your computer. DistroWatch.com is a website where you’ll find the trending ditros. It has been operating for over 13 years and it has a very exhaustive list of Linux distros. A popular distribution is a one that has been downloaded a lot lately. You should always check the trending distros, this a sign of interest and trust by the community, this also means you’ll find better support online. If you have read the article (I’m not sure why you’ll be reading this if you haven’t) then you would have noticed I’ve tried to give very few suggestions about the GNU/Linux distributions, instead of going ranking them like everyone is doing. I hope by the end of this article you’d have got the essence of the concept of how to compare distributions on your own and making your own mind. If you’re interested in a distro and you don’t want to mess your system in order to try it, you can always use VirtualBox and have a look before settling. Personally I have been using Linux Mint (MATE) and Manjaro (Xfce) on my computers. Tell us what distro do you use? It’s not the same for everyone, I gave the basic tools for everyone who’s willing to use Linux, but does not necessarily mean that he want’s to become an expert on the OS.